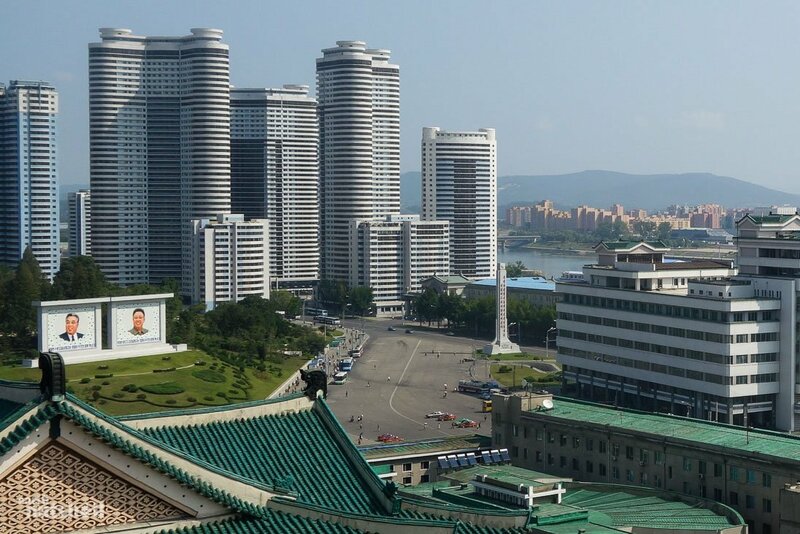 Pyonyang’s urban skyline, competing with Manhattan and the Trump Tower? The Democratic People’s Republic of Korea (DPRK) is being choked into submission if not starvation by the UN Security Council, by a vote of 15 : 0; i.e. unanimously. None of the 15 UNSC states, let alone the five permanent members, have had the guts to say no to a killer Resolution, drafted and proposed by the United States of America, a name that increasingly stands for international rogue and crime nation. Two immediate questions come to mind – first, who is Trump to blackmail the UNSC into punishing nations which do not bend to the empire’s wishes? Yes, blackmailing, because that’s exactly what is categorically part of the chief rogue’s international behavior. Case in point is the recent UN Resolution to nullify Trump’s unilateral decision to declare Jerusalem as Israel’s capital, when he, the Donald, threatening he would watch closely who would vote against the US, in view of punishing those nations monetarily or with other sanctions; and second, how come Russia and China went along with this literally genocidal program of sanctions contained in this UNSC Resolution? Both Russia and China know that Washington’s arguments against the DPRK are based on a web of lies. That everything coming out of Washington is a lie, or untruth, or omission of facts – is well known around the globe. But in this case, where two ascending super-powers, Russia and China have the veto right to say NO to these illegal sanctions, it begs the question, why’ didn’t they use their veto? Even more so, since Russia and China are both also ‘sanctioned’ by Washington for not ‘behaving’, and because Russia and China are natural allies of North Korea. – Why were they going along with Washington’s blackmail? – A veto could have sent a clear message to the sort of preposterous Nikki Haleys and Donald Trumps of this world, that there is no more fear of the devil, but that the power plates are clearly shifting away from Washington. Was it out of fear that the madman could possibly press the red bottom, if provoked? 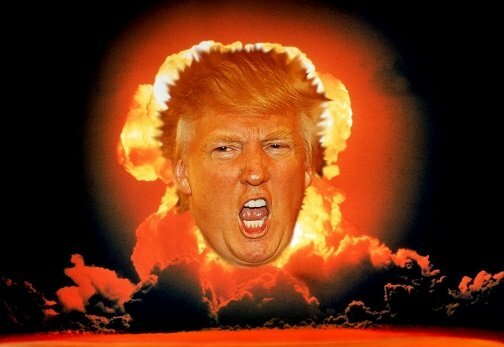 – Voting with the madman is certainly no reason to believe that the Mad Man will not press the nuclear bottom. – Then, what kind of diplomacy is it? – The fear of more sanctions directed at Russia and China? This would be outright ridiculous, as both countries, founders of the Shanghai Cooperation Organization (SCO), are almost fully detached from the western dollar economy and are heading a new economy that already comprises about half of the world’s population and one third of the globe’s economic output. Hence, they can function fully independently from the west. There are no fears of sanctions either. In addition, the study found “steeply rising malnutrition among the young, suggesting that more children will be at risk in the coming years.” – Indeed, close to a million Iraqis have died as the result of a decade long US-imposed UN sanctions scheme. North Korea has done no harm to any other nation. Indeed, North Korea does not intend to start a war with anyone. 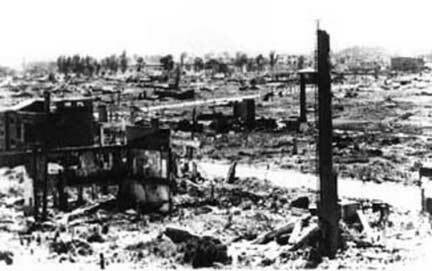 North Korea has had the courage and strength to rebuild as a socialist nation in almost full isolation from a 1953 US-devastated country with the loss from then 30% of the population, about 3 million people. 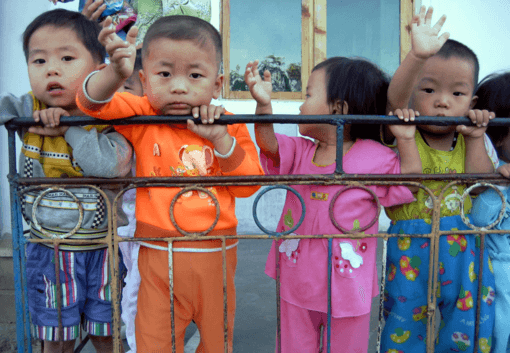 Does anyone wonder why North Korea has opted to defend herself – come what may? This is Pyonyang in 1953. Completely destroyed by the USAA (and rebuilt by North Korea). And does anybody realize, including the 15 UNSC countries having condemned the DPRK to starve, that North Korea has declared numerous times that she wants nothing more than Peace, that she is willing to sign a nuclear weapons disarmament program along with all the other nuclear powers; and she is ready to negotiate, as long as Washington stops its high-handed and dangerous military maneuvers and jet fighter territorial overflights? Why would North Korea, or any nation for that matter – not have the same right as the US, UK, Russia, China, France, Israel, India, Pakistan, and the NATO member nuclear weapons sharing states of Belgium, Germany, Italy, Netherlands and Turkey – all of which have allegedly acquired B61 tactical nuclear weapons (Made in America) targeted at Russia, Iran and other countries in the Middle East allegedly for “defense purposes”? 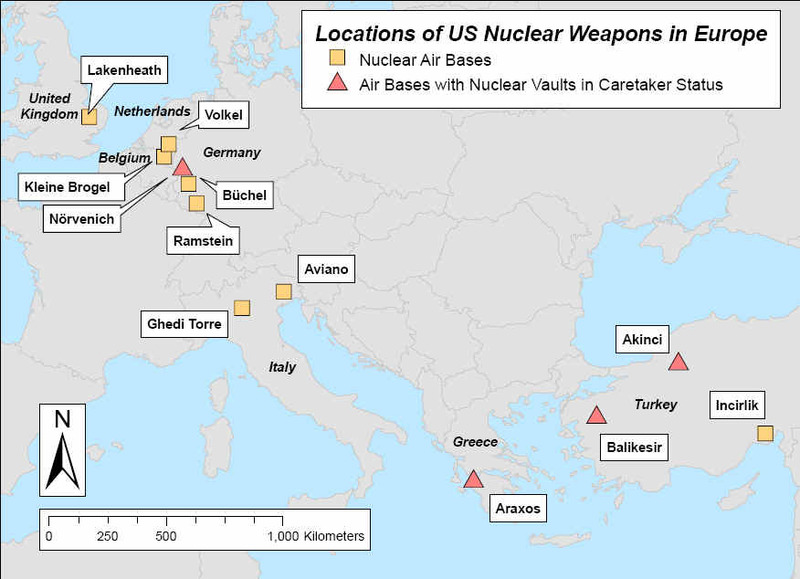 Turkey has five times more nuclear weapons than North Korea at its Incirlik base, Belgium and the Netherlands have together four times m0re nuclear weapons than the DPRK.